We, women would like to look our best all the time. If we look good, we feel great and that will automatically boost our self confidence and assurance level. Therefore, we must not lazy or procrastinate to take care of looks. We need to allocate time, effort and money for beauty, to me it’s called grooming investment. Besides skincare regime, makeup, hairdo, fashion and styling what else can we do to enhance your beauty? Well, Panasonic Beauty has a range of innovative grooming essentials that will help to boost and empower women’s confidence. Panasonic Beauty has a series of products that will make us look good from hair care, facial care, body care, nail care and also oral care. All these products are innovative and user friendly for us to enhanced our beauty and get us prepared to look good at all times. 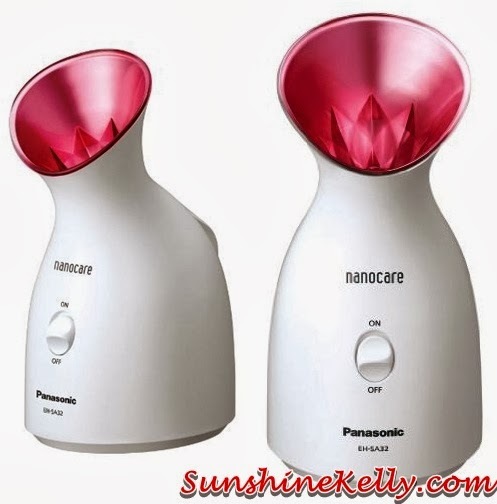 Middle of last week, I started using some of the Panasonic Beauty product like Face-Hair Ionizer, Facial Ionic Steamer, Pore Cleanser and Eyelash Curler. I will show you how I incorporate these beauty products in my daily beauty regime. This just a brief introduction of the Panasonic Beauty products that I am using, I will be sharing my reviews about these four items in my upcoming blog post so please keep an eye here and do come back to check out. I love this Face-Hair Ionizer! As you know I have dry and dehydrated skin and hair so the Panasonic Beauty Face-Hair Ionizer will help to add moisture to my skin while I am sleeping, working, reading, watching television or anything. I use it everyday. 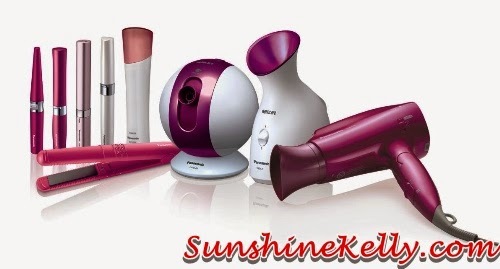 It helps to keep the skin and hair moisturize like moisturizing mask and ionizer. It emits nanoe charges with fine water particles continuous 8 hours. The unit is light and portable, I can move it to the hall, office and rooms. Consistently use on daily basis will help to refine skin texture and nourish hair. 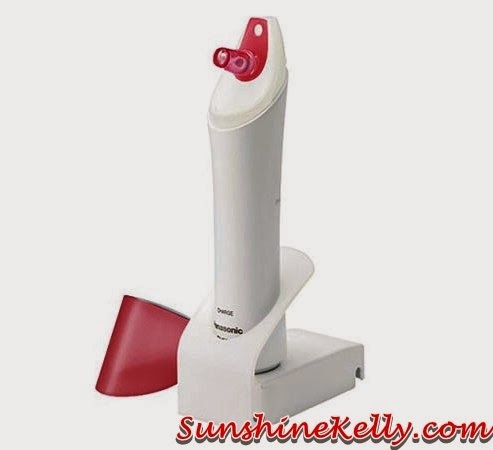 This Facial Ionic Steamer is compact and stylish so I placed on my dressing table. It has many functions and benefits, can be used as a makeup primer for a flawless and longer lasting makeup and also for deep cleansing to help open up pores, remove makeup, dirt and oil. The water tank has two steam therapy options; full tank is approximately 6 minutes and half tank is approximately 3 minutes. Please take note only use distilled water to fill the tank. As we age our skin begins to lose its elasticity and the ability to retain moisture which leads to lines and wrinkles. Daily used of the Facial Ionic Steamer as part of your beauty regimen, 6 minutes spa for relaxation. For skin refresh the ultra-fine nano-sized particle steam penetrates, leaving the skin feeling refreshed and renewed. For deep cleansing the nano-sized particle ionic steam is released to encourage deep pore cleansing. Cleansing with the facial ionic steamer will result in the removal of makeup, dirt and excess oil. Try not to squeeze the blackhead or whitehead and be gentle to your face. Because constant squeezing and scrubbing can cause wear and tear on your skin, which can lead to breakouts and redness. 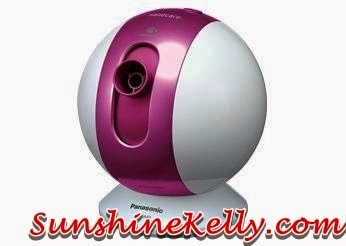 For a more effective deep cleansing use Panasonic Pore Cleanser simple to use suction. It has micro-fine mist that allows smooth movement of the suction cup around your face to deeply and effectively remove dirt from the pores. It water proof I can use it in the shower for better results. It’s simple to use, after cleansing the face and if possible steam the face with Facial Ionic Steamer then when the skin surface is still wet use the Pore Cleanser. Place the suction on the nose, chin and forehead areas which has blackheads and whitehead. It’s waterproof so I can use during shower for better result. Recommended use for deep cleansing is 20 minutes. Have to use consistently then only can smoother skin, smaller pores and less blackheads. Please take note that pore cleanser is for blackheads and whiteheads only it is not for the pimples areas. I have a straight and short eyelash so hopefully by using this for a period of time my eyelashes will curl up naturally and wish to have longer and curler eyelashes. 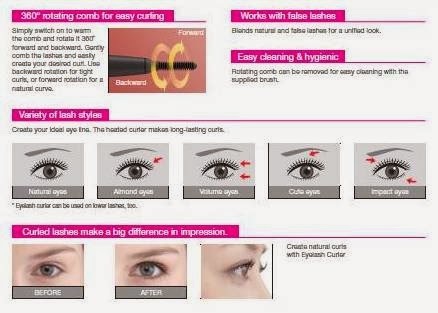 It is 360 degree rotating comb for easy styling and works with false eye lashes too. There is also a cleaning brush included. 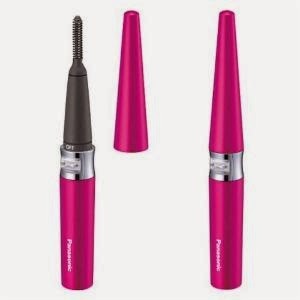 Overall, I find that all the four Panasonic Beauty products are innovative and cater for modern and busy women who want to look good and feel great. All the products are very user friendly. The moment I received it I can use it, not need setup and no hassle at all, just plug and use. Plus the product enhances my skin and hair conditions. It’s easy to use and effective. Now, I feel confident to take the limelight. 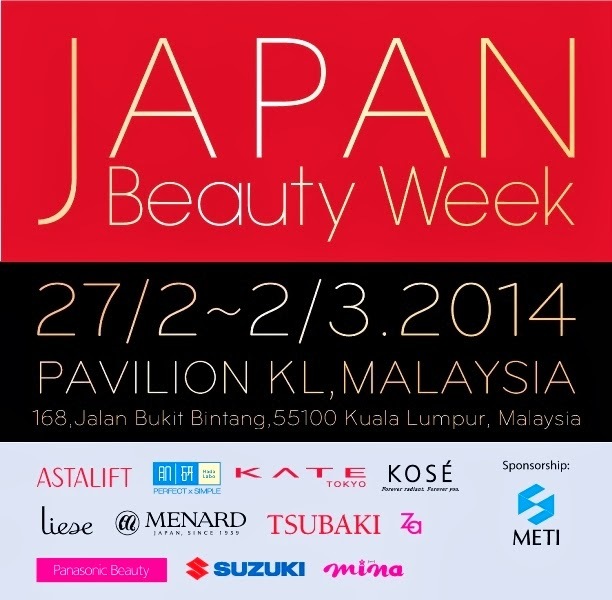 Panasonic Beauty is also one of the participating brands in Japan Beauty Week Kuala Lumpur at Pavilion KL from 27th Feb till 2nd Mac 2014. Take center stage wherever you are with Panasonic Beauty. 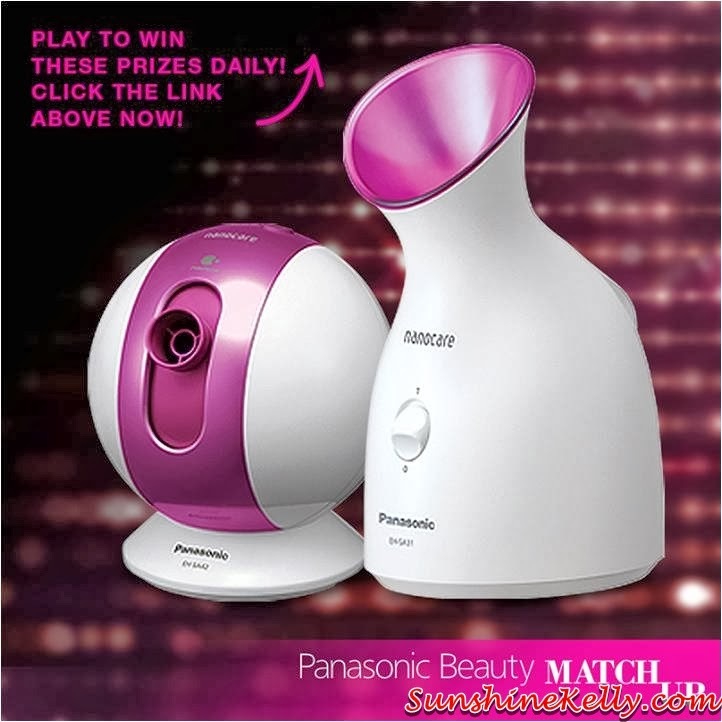 So do visit Panasonic Beauty booth to enjoy free hairdo and receive special vouchers. By the way, I will be conducting a demo on how to use these four Panasonic Beauty products during the Japan Beauty Week on 1st March 2014 at 12.30pm. So if you would like to know more, learn, see and try out the product please come. Hope to meet you all there.